One of the cool things about Vegan Mofo is that while you’re cruising around checking out other people’s posts, you get ideas for new posts of your own. This happened to me yesterday as I read Bianca’s post about vegan sugars. It’s true, it can be hard to find vegan brown sugar and powdered sugar in certain places. And sometimes even when you find it, it’s really expensive. A while back, our supplier for the bakery was out of vegan brown sugar. For a few weeks. Our supply was completely cached and we had to figure something out. Buying retail bags would be way too expensive. Since brown sugar is just sugar and molasses, you can just add sugar to molasses! Der. I just googled how to make brown sugar to get the ingredient ratio. After this, we just kept making it instead of buying it. It’s cheaper and easy to do. Mix together with a hand mixer or stand mixer. Use immediately or store in an air tight container. Time for another Worldwide Vegan Bake Sale! Hey kids! You all like tasty vegan baked goods, right? 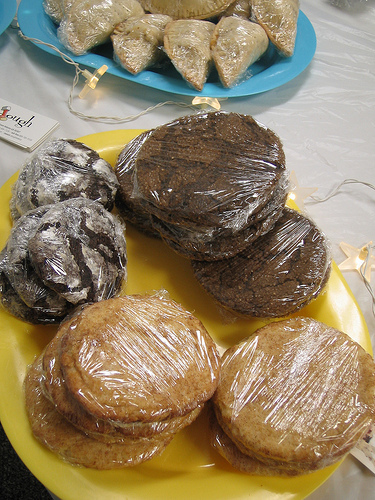 Then you don’t want to miss this year’s Worldwide Vegan Bake Sale! This year, Cosmo’s Vegan Shoppe is hosting the sale at their space in Marietta, Georgia Saturday, May 1st noon – 4pm to give those OTP folks a chance to get some tasty vegan baked goods. 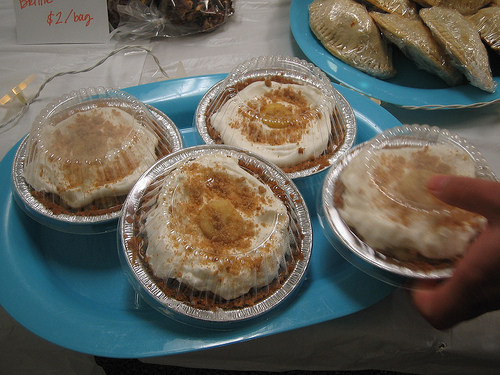 I’m donating some goodies…of course I can’t remember what I said I was bringing except banana cream pies. 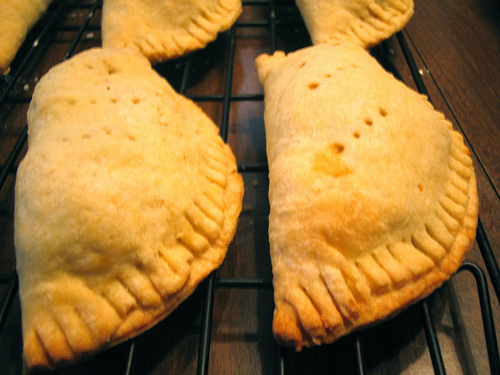 Yep, gonna make some mini vegan banana cream pies. You don’t want to miss that, do you? You can also promote and RSVP to the event on Facebook here. 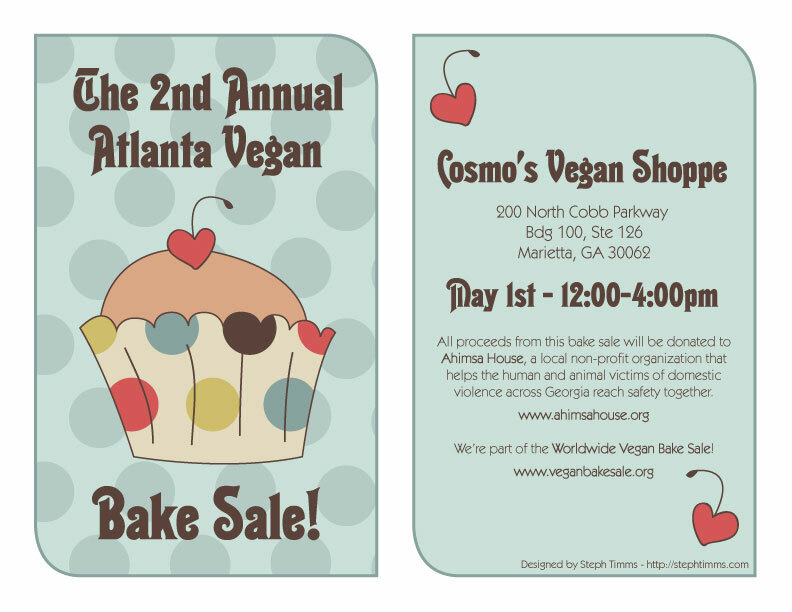 The Metro Atlanta Worldwide Vegan Bake Sale will benefit Ahimsa House. Ahimsa House is dedicated to helping the human and animal victims of domestic violence across Georgia reach safety together. Thanks Steph Timms for once again creating a super cute flyer for the sale. The bake sales are being held all over the world, so check here to find out when and where one is being held near you.